Mark R. Peterson is a Vice President with GovHR USA. Mark’s career in local government management spans four decades in three midwestern states… Iowa, Missouri and Illinois. He matriculated at the University of Iowa where he received a BA Degree in Political Science and an MPA Degree in Public Affairs. Following relatively brief local government assignments in Iowa, Mark served for four years as the Assistant to the City Administrator in Liberty, Missouri. Mark came to Illinois in early 1988 when he was appointed as the Assistant City Manager of Normal, Illinois. Ten years later, he was named the City Manager in that same community. He retired in 2018 having served the Town of Normal for over 30 years. The Town of Normal is a full service municipality in central Illinois with a population of 56,500. It has an annual budget of $110 million and 420 full time employees. The Town carries a AAA bond rating. Normal is also home to Illinois State University with an annual enrollment of 22,000 full time students. While serving as its City Manager, Normal established a national reputation for sustainable urban development practices. In 2001, the Town of Normal launched a robust central business district redevelopment initiative. Over the ensuing 15 years, the downtown district, later rebranded as Uptown Normal, was transformed with over $100 million in public investment, including $35 million from various state and federal sources, and over $200 million in private investment including the development of a full service, four Diamond, Marriott Hotel & Conference Center, a Hyatt Place hotel, a multi-modal transportation center, a Children’s Discovery Museum and a number of private mixed use projects involving retail, residential and office uses. Normal’s “Uptown Renewal Project” has won national awards for planning, sustainable infrastructure, and innovative development partnerships. Mark Peterson and members of his former staff have been invited to present on Normal’s central business revitalization project at numerous regional and national conferences and symposiums. Further, this very successful initiative is routinely cited by the U.S. Department of Transportation as a model for transportation oriented development (TOD) that other cities should emulate. Under Peterson’s leadership, the Town of Normal has also been recognized both regionally and nationally for several other innovative programs and practices including the effective use of public/private partnerships, successful town/gown relations, innovative urban planning initiatives, and electric vehicle technology deployment. During his career, Mark also developed significant expertise in the following areas of local government operations: insurance administration, capital improvement funding, state and federal grant procurement, economic development analysis , strategic planning, financial management, community policing and intergovernmental collaboration. 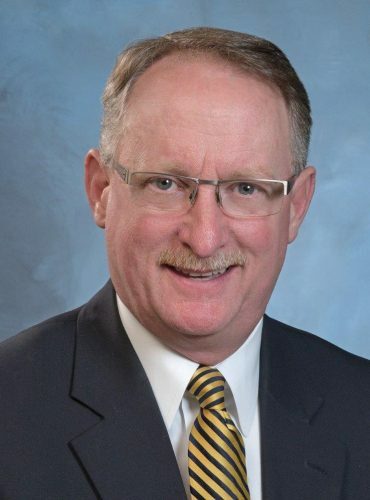 Throughout his long career, Mark has remained an active member of the International City/County Management Association (ICMA) and the Illinois City/County Management Association (ILCMA) having served in various leadership capacities including the President of ILCMA in 1998-99.